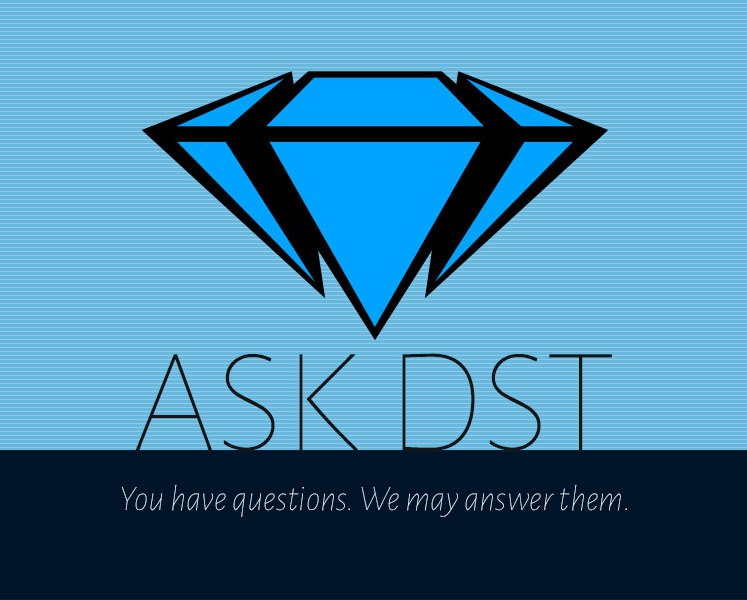 It’s the 400th edition of Ask DST, and it’s a whopper! Diamond Select Toys president is answering your questions in advance of his trip to New York Comic-Con, and we crammed as many as we could into this landmark installment. From Marvel Select to Kingdom Hearts to Ghostbusters to Pacific Rim to Marvel Gallery to Batman Animated to Minimates… everything is here! So if you’ve had a question, read on to see if it gets answered, then submit it in the drop-down form up top or e-mail DSTChuck! I’m a huge fan of the Marvel Select line, specifically the MCU line. I just got my Black Panther movie figure a few weeks ago. Are there any plans for a figure of the Wasp or a re-release of Ant-Man in conjunction with their new movie? Also, I recently purchased the Netflix Daredevil figure. Will we be seeing Luke Cage, Jessica Jones, and/or Iron Fist any time soon? DSTChuck: I think you will be pleased with some of our upcoming releases! Hi DST, I am a big fan of your Diamond Select Action figures line, especially when it comes to huge characters. The latest Gladiator Hulk is a beautiful piece of art without breaking the bank. 1) Any plans to make a Marvel Select MCU Cull Obsidian? 2) Any plans to make DC characters such as Darkseid? 3) Any plans to have projects such as the characters above our others along the lines of Kickstarter/ HasLab campaign to test fan interest? DSTChuck: Sorry, we do not have the rights to make action figures from the DC universe of characters, and right now we have no plans for a Cull Obsidian figure. How is the trade war potentially going to affect you? DSTChuck: As of this moment the new tariffs have not had any direct effect, but with time we will see. Hello … the ghostbuster line ends in series 10? 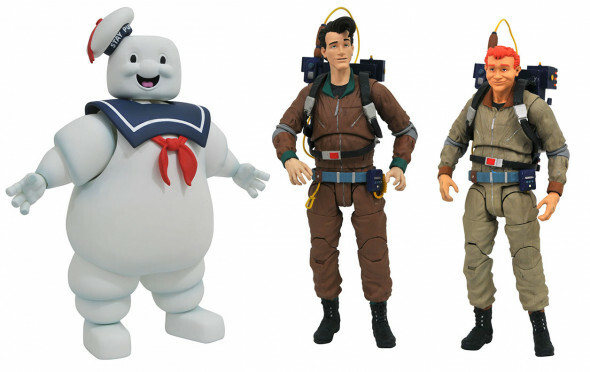 Can they then manufacture the “EXTREME GHOSTBUSTERS”?? DSTChuck: We do not know for sure what we will do after GB S10. Hello, will there be more Batman 1966 banks like the Batgirl one you have coming out? Would love to see Riddler (maybe in his suit and tie) and Catwoman (Julie Newmar) I think your banks have the best likeness and really look amazing. Please consider completing the line up by making Riddler and Catwoman. DSTChuck: I am glad you have enjoyed them, but at this time there are no more releases planned. I just watched a booth tour from SDCC 2018 with PixelDan, and well I have a few questions about your upcoming Star Trek products. 1. I’m thrilled to finally see the NCC-1701-C coming, but when can we expect to get one? 2. Is Reliant going to be coming out in the near future? 3. After the TNG Phaser is complete, what can we expect from the next Trek Tek Replica? 4. How many of the TNG Borgs is too many? Thanks for making amazing products. 1) I am sorry, but we do not advertise an on-sale date until we have a working sample from our factory. 2) We have hit a development snag with the Reliant, but hopefully we’ll get her back on track soon. 3) The next role-play item is not in development yet, but there have been a few ideas tossed around. I wanted to know if you will do the other Avengers characters (like Wanda, Vision, Loki, Bucky, etc…) in Marvel Gallery figures. I already preordered Black Widow, Captain, Thanos, Thor, Strange, maskless Starlord and Iron Spidey; and have the others but really want to have all the Avengers– Loki the most. DSTChuck: We do not have any of those planned for Avengers: Infinity War, but plans for A4 are still ongoing, so maybe (though Loki might be out). I saw your Sora statue gallery figure and was wondering, can you guys please make a Roxas gallery Statue for $50? DSTChuck: We have lots of Kingdom Hearts planned for that line – no Roxas right now, but if what we have planned does well, he would be very possible. When is the savage land rogue statue going to be released? I kept hearing it was going to be July but saw/heard NOTHING at SDCC and here we are with July almost over and no new info on a release date! Is it still going to be July, or has it been pushed back? DSTChuck: We did not have a good sample to show at SDCC, that is the only reason she was not on display. She should be in stores now, sorry for the delay. Just a thought, what about an electronic lights and sounds classic Lost in Space Jupiter 2 to accompany the already released B9 robot? You guys could easily do better than Trendmasters did with their Jupiter 2 in regards to accuracy. DSTChuck: We have absolutely discussed that, but it’s not in the plans at the moment. If the new figures sell well, will you make Star Trek Beyond Uniform Kirk and Spock? Also, the floor panels are from the Bridge, not the transporter. Do I sense a make-a-bridge series? DSTChuck: Sorry, we have no plans for a build-a-bridge, but for sure if these two do well, we’d LOVE to do more from the Kelvin timeline. Is there a possibility of a Select Agent Coulson coming in the future? We need it! DSTChuck: Not in the plans at the moment, sorry. Are you gonna make a new Ghost Rider(Johhny Blaze) Minimate? DSTChuck: We’re just now locking down our plans for the next comic book store Minimates series! I would have preferred Agamotto to be a Marvel Select figure, any chance you’ll do that in the future? DSTChuck: I am sorry, but I do not think that is one we will tackle. 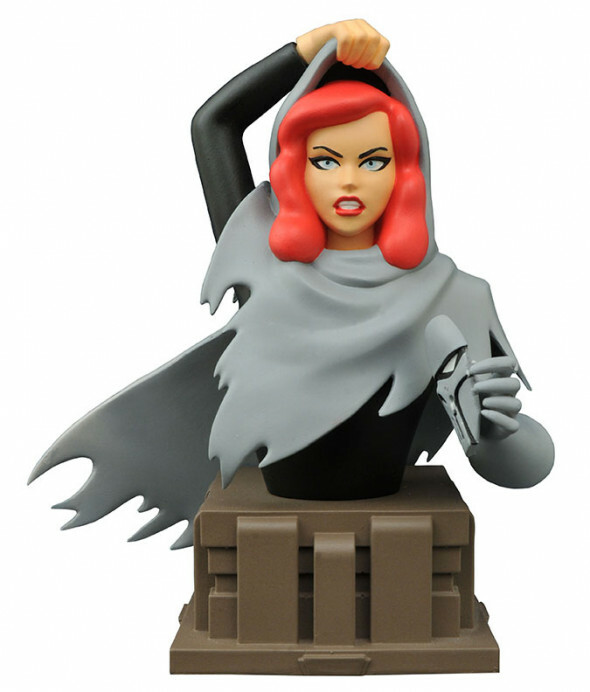 Hi, I didn’t see any new Batman the animated series busts at the SDCC. Is the line now official over or is there still a chance for a few more? DSTChuck: There is a chance for more. Even with a huge following, Xena Warrior Princess has gotten very little attention when it comes to merchandise. Any chance of doing Xena Minimates, Vinimates or Action Figures? DSTChuck: We for sure have discussed the property but no plans at the moment. One of the first toy lines I remember collecting was from Mego. The figures, vehicles, and playsets were fun but what hooked me were the various licensed properties they offered. I could have Captain Kirk travel back in time to ask Batman and Spider-Man for help in the future on the Planet of the Apes. It was pure imagination fuel. Fast forward to Minimates and I’ve found my Mego 2.0, a line that offers all my favorite properties and then some… except for one: PLANET OF THE APES. I’ve been waiting patiently 15 years now. When do you think you’ll be able to offer this property in your Minimates line and satisfy the tingle in my nostalgia bone? DSTChuck: John, it does come up from time to time in discussions, but no plans at this time. Sorry. Is there any chance we can get Marvel Gallery PVC’s of movie characters such as War Machine, The Winter Soldier, Scarlet Witch, Falcon, Hawkeye or even the Black Order from Infinity War. We also need a Mantis and Nebula to join the rest of The Guardians of The Galaxy PVC’s. I’m a big fan of the movies and love the statues you guys produce. DSTChuck: Some of the ones you are asking about are in the works! As I recall, DST released merchandise for both Amazing Spider-Man films. Is there even the slightest chance that Sony’s Venom will receive the same treatment? I’m a huge fan of the current Marvel Select Venom and I’d love to see the movie adaptation standing beside it on my shelf. DSTChuck: I am sorry, but we do not have an plans for products from the Venom movie. What are your plans for future Star Trek action figures? I currently own six Star Trek figures from DST, but there are many other characters not currently made that I would be interested in having. Some of these characters include Elim Garak and Gul Dukat. DSTChuck: Robert, we have made WAY more than six figures, so there are lots out there for you to find. As it stands, we have no plans for those two characters, but releases are ongoing. 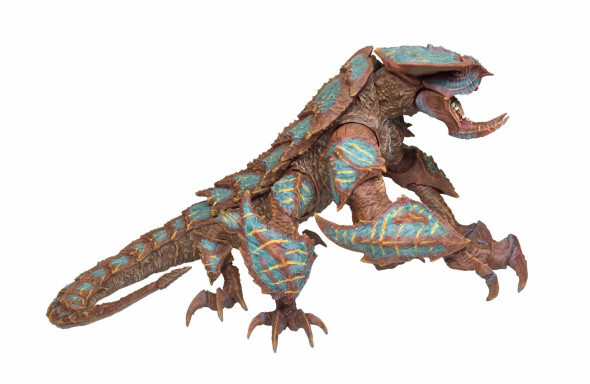 Is there any word on if more Pacific Rim kaiju will be made after Hakuja this September? Really hoping for a dip back into the first film for Onibaba and Raiju, two we never got from NECA’s line! DSTChuck: At this time, it seems unlikely we will be able to do more Kaiju. Is the Walking Dead line finished for the future? Also, what are upcoming Minimate releases? Thanks! DSTChuck: There are no plans at this time for more Walking Dead MM, but never say never. WILL YOU and more importantly ARE YOU ABLE TO make more Marvel Zombie Villains? 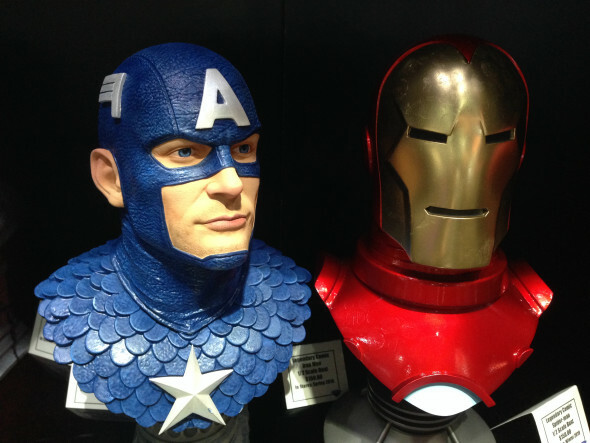 I deducted that all manufacturing/representation of Marvel Zombie Superheroes is off the table (red-tape/red-flag). 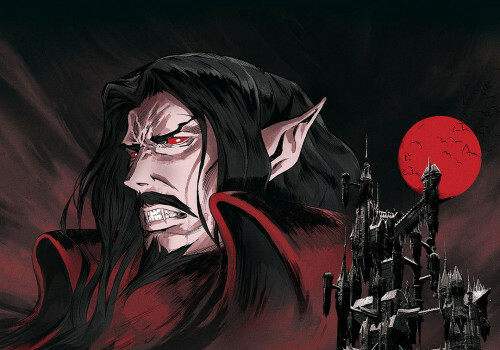 There’s not too much info on this out there, but based on the absence of a potential re-release I’m guessing Disney put the breaks on depicting their heroes as blood-thirsty, violent, zombies. You must be aware of their ever-increasing value on the secondary market, and I know you guys do re-releases all the time to fill those needs. I have all 5 DS Zombie figures (3 heroes: Spidey, Colonel Am., Hulk and 2 villains: Magneto & Sabretooth). I was expecting a third Marvel Zombie Villain to complete that 2nd wave trilogy of Zombie Baddies. If you’re not restricted in doing so- any plans to make more? If not, is that restriction from higher-ups? I love the work you do. DSTChuck: There is not a new Villain Zombie planned at this time, but it has not been ruled out! Hi there, are there any Voyager figures made or going to be made? I’m collecting as much as I can on your Trek figures, but I’ve never seen Voyager figures. DSTChuck: At this time we do not have any Voyager in the works, BUT we’re just now starting to plan what to do after the Borg. Will you be making a Scarecrow figure from Gotham’s second half of season 4? DSTChuck: Sorry, it is not in the plans at this time. Hello! I just want to thank you guys for all of your great work on the line of Star Trek ships. I wanted movie accurate toys of those ships since I was a kid and they’re stellar (pun intended). There are so many amazing ships in the Star Trek canon. One in particular that I thought was gorgeous was the original Enterprise-E as it debuted in First Contact. In particular, it’s size and proportions, as well as it’s pearlescent white paint scheme. It really had such a majestic look about it. It was also the last time they used a model of the ship for filming, now in favor of pure CG. Once they switched over to the pure CG form of the ship, they made some modifications to it elongating the warp nacelles and stretching the ship even further. I never thought the revised ship looked as good as the original they designed from First Contact. Would you guys ever consider making a movie accurate model of the exact version of the E from First Contact? It would be an exceptionally rare and exciting collectible considering it only made its one appearance in First Contact. In any case, keep up the great work. The only other thing on my wish list is the JJ Abrams Enterprise. Look forward to what you guys come out with next! DSTChuck: I do not think we have another E planned in the near future. Dear DST, I’m excited with your new Legendary Bust line. Is in your plans to give us a Transformers movieverse Bust line, pls? DSTChuck: Glad you like what we have shown! At this time we do not have rights to Transformers, but as the line evolves we’ll have to see what the future holds. If you have a question, submit it in the drop-down form up top or e-mail DSTChuck!